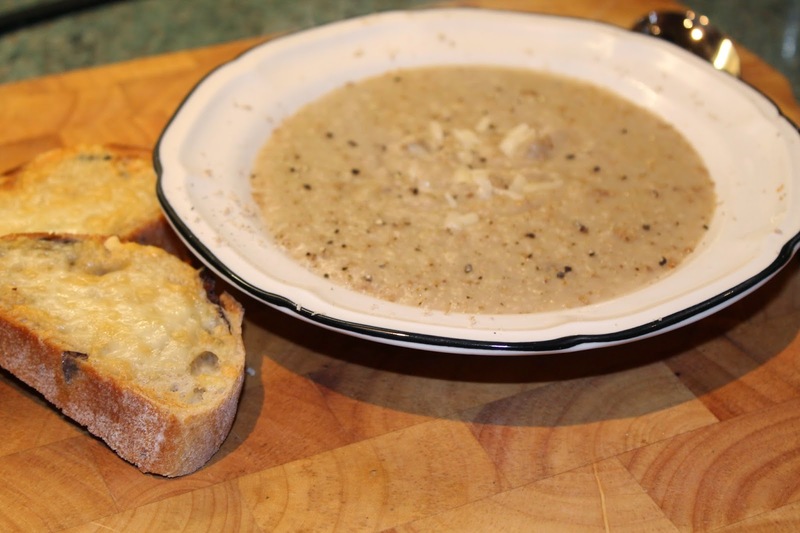 This is a lovely seasonal soup which can be whipped up in under half an hour. Parsnips are cheap at the moment and this is a great way to make them the star of the show. Because parsnips are very sweet, it’s important to make sure you season the soup correctly and use a crisp, dry white wine in it. It also helps to serve it with deliciously savoury gruyere on toast. This will warm you up wonderfully on a chilly evening. The quantities shown below will make enough for 6 – but it freezes brilliantly if you don’t eat it all straightaway. 1. Roughly chop the leek and parsnips. Melt the butter in a large saucepan and add the vegetables – cook for 5 minutes, stirring often, then add all but one of the chestnuts. 2. Cook for a further 5 minutes, then add the white wine. Allow this to reduce by half, before pouring in the vegetable stock. Season with salt and pepper, bring to the boil then cover and simmer for 10-12 minutes, until the parsnip is soft. 3. Whizz the soup up with a hand blender. If it’s too thick for your liking, add a little more vegetable stock or water until it reaches a consistency you like. 4. Serve with grilled gruyere on toast. Grate the remaining chestnut over each bowl of soup before serving.